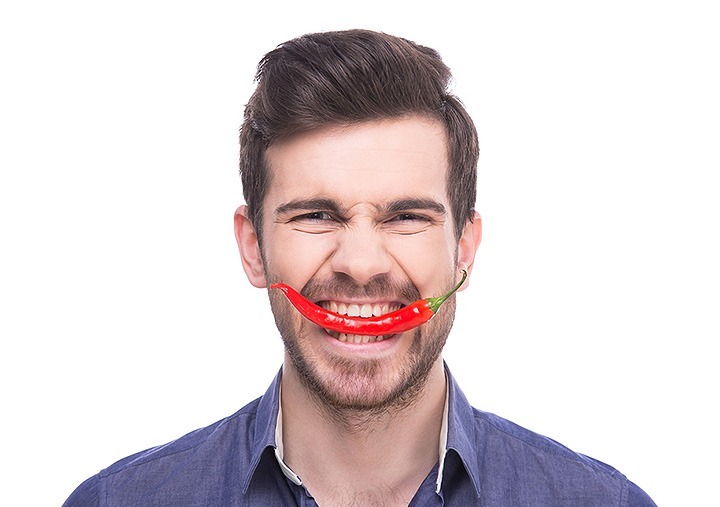 Have you ever heard of Burning Mouth Syndrome (BMS)? It’s a condition that can cause the tongue, gums, cheeks, lips, or throat to feel as if they are burning. It can affect any tissue within the mouth and does not have any one discernible cause. This condition has a spectrum of irritation from complete numbness, to a slight tickle, to a feeling of being scalded. Changes in taste may also occur such as an intense metallic taste in the mouth or loss of taste completely. Sufferers of BMS may also experience a dry feeling in their mouth, tongue, or throat, coupled with a heightened sense of thirst. And even stress and anxiety can all trigger a flare up of BMS. Without being able to cite the cause, it is impossible to have one cure-all treatment for the condition. Deciding on a treatment course with your dental professional involves determining whether the Burning Mouth Syndrome is happening on its own or as a consequence of another condition. Once this has been determined, possible treatment options include saliva replacement to combat dry mouth, oral rinses to treat fungal infections, therapy or counseling for stress related triggers, and certain nerve blocking medications. If you personally recognize the symptoms of Burning Mouth Syndrome or know someone who suffers from it and are looking for professional help, then call us today to book an appointment. Previous post: What Does Soda Do to Your Teeth?